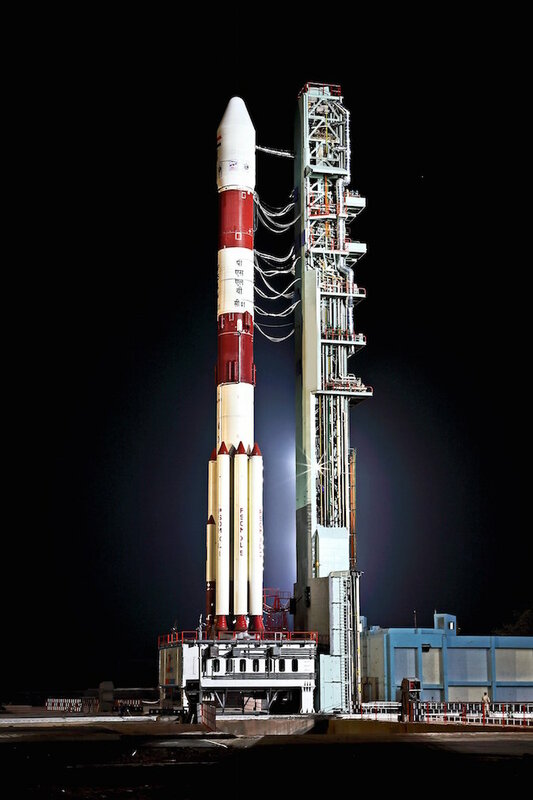 These photos show the 145-foot-tall (44-meter) four-stage rocket, boosted by six strap-on solid rocket motors, on the First Launch Pad at the Indian spaceport in Sriharikota Island, around 50 miles (80 kilometers) north of Chennai on the Bay of Bengal. 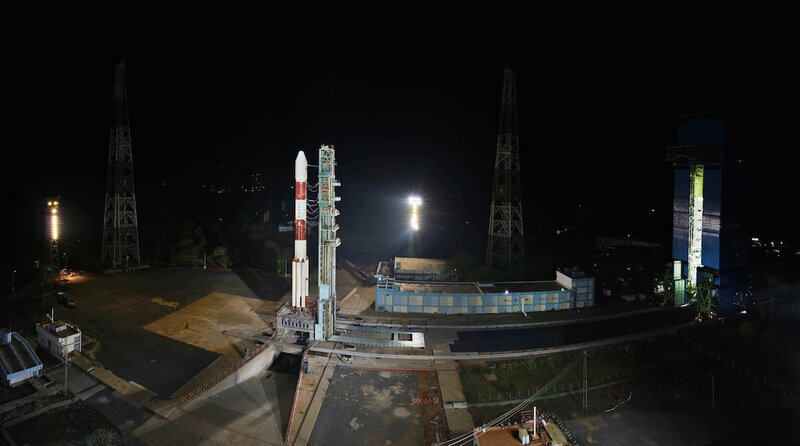 The IRNSS 1I satellite will join seven others currently in orbit to replenish India’s regional navigation satellite system. 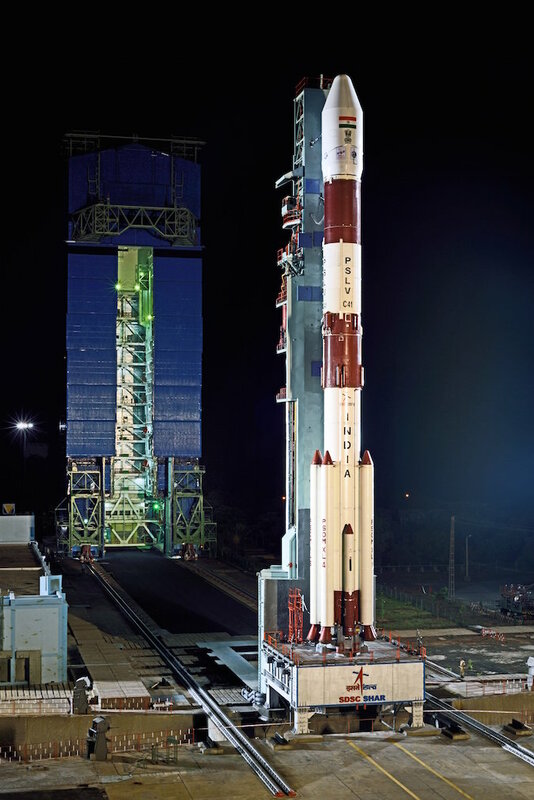 One more Indian navigation payload was lost on a launch failure last year. 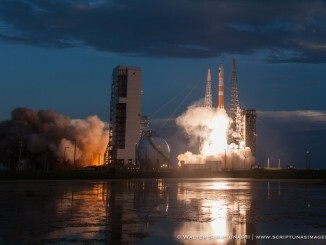 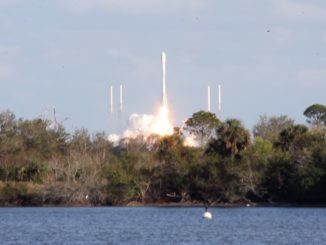 Liftoff is set for 2234 GMT (6:34 p.m. EDT) Wednesday, or 4:04 a.m. local time in India on Thursday. 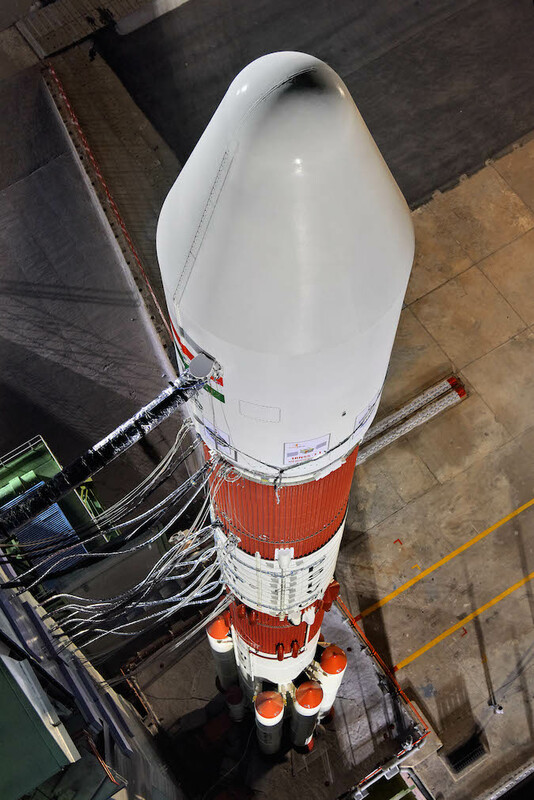 It will be the 43rd flight of a Polar Satellite Launch Vehicle, and the 20th using the PSLV XL version of the rocket. 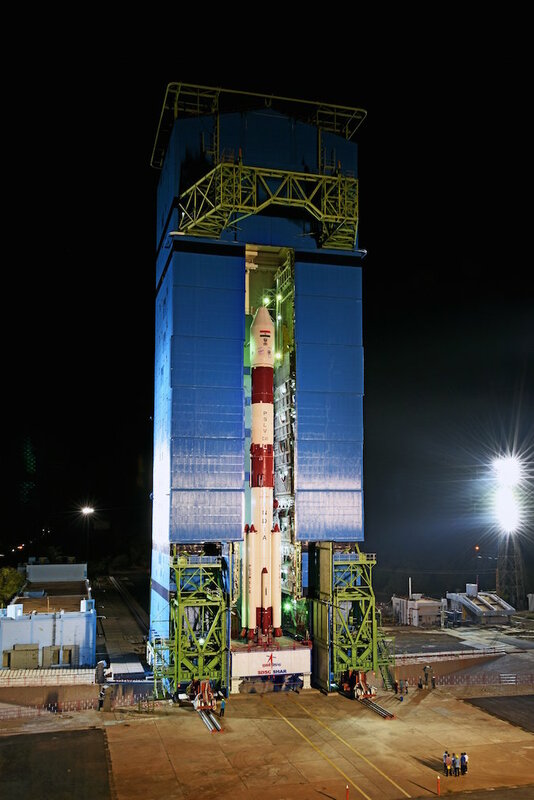 The mission, codenamed PSLV-C41, will also be the third Indian space launch of 2018. 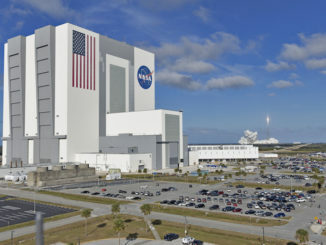 These photos show the rocket after retraction of the mobile gantry at the First Launch Pad.